Microsoft team recently made an announcement that starting November 2014 Office on Demand feature will be removed from Office 365 Subscriptions and provided few alternatives which is not quite comfortable in comparison with this cool feature which exists for a while now, Having an active Office 365 subscription and accessing Office Apps on Demand from any PC is a great innovation from Microsoft which just takes minutes to get the application launched from anywhere on demand to get the work done. 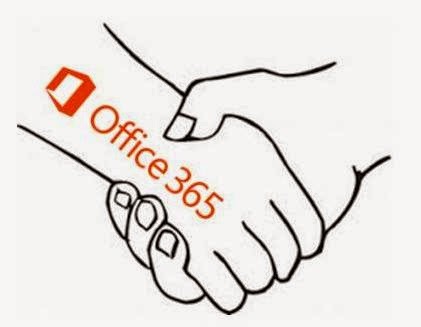 This is really a sad news for Office 365 customers and everyone is now getting ready to say Good bye to this feature and looking at the feasible alternatives provided by Microsoft team. Below is the main context taken from the Official Community forum Link on this announcement. 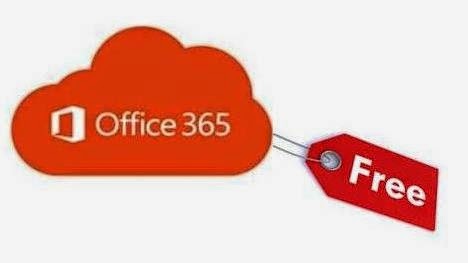 Starting November 2014, we will be removing the Office on Demand feature from Office 365 subscriptions including, Office 365 Small Business Premium, Midsize business, Enterprise (including equivalents), and Office 365 ProPlus. 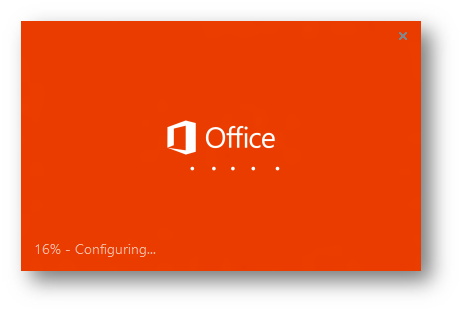 To help improve how you and your users can continue to use your favorite Office application we recommend taking advantage of recent rich capabilities in Office Online, shared computer activation and Microsoft Azure RemoteApp. Additionally review the below Redmond Channel Partner in depth discussion post with various key reviews over this announcement. Believe most of you are already aware about the new EAC/Outlook Web App issue that's affecting majority of the crowd outside using the Latest version of Google Chrome 37 and above. Google has recently removed the support for showModalDialog API from version 37 which in turn caused issues to the pop-up dialog boxes appear with EAC and Outlook Web App and it applies to both Exchange 2013 On premises and Exchange Online. MVP Tony Redmond has written an excellent blog post with more details on this issue in a nut shell, which brought this to light and most of the Organizations using latest version of Chrome are affected and utilizing the workaround provided in the referenced articles to address the issue. 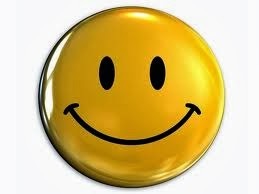 One more excellent write up from Tony on his Exchange Unwashed Blog on this issue. Along with this we have one more sad news that even Mozilla is removing the support for this API method from version 39 which is scheduled in June 2015. Review the below post from Bharat Suneja MSFT to know more. showModalDialog API is going away. Please Fix your Web sites and applications. Microsoft team is made aware on this issue, at present the supported version of IE is working fine and not impacted, wherein other two great browser alternatives used to access these resources are impacted. Since Microsoft is suggesting us to use the latest version of 3rd party browsers, for example review the Office 365 Browser requirements this becomes quite important now as most of the Organizations would have upgraded these to latest version and affected by this issue, Soon we can expect some code changes within the Exchange product either with the upcoming future updates or with the next version of Exchange release to get this fixed. Now we have an Official Microsoft Knowledge Base article published yesterday to acknowledge and address this issue. Workaround has been provided by extending the support for this API till next year April 2015 via registry tweaks. Also we do have a note that states this issue is getting addressed and updates to follow. If you are using Chrome 37 and above, for sure you are affected with this issue, either try not to update your users browser version to the latest or start using the workaround provided here to overcome this issue till we have a proper fix implemented. 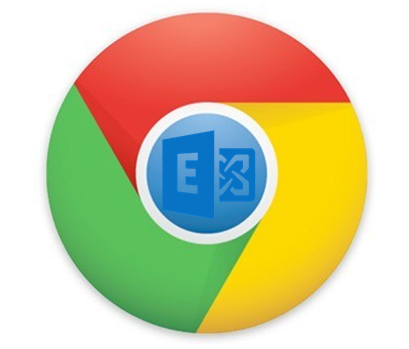 If you are on Exchange Online customer you can get a report of users using Chrome to access Outlook Web App / EAC using the New Client reports mentioned here by collecting the report against past two or more weeks and filter the results accordingly to get the user list and take corrective action. For On premises Environment we don't have such reporting mechanism inbuilt as with Exchange Online and we rely on the IIS logs, we can parse these logs using Log Parser studio as explained here to get this report generated for our next course of action. Lets Learn SharePoint Hybrid with SharePoint Server 2013 and SharePoint Online using this new "SharePoint Hybrid Courseware and Curriculum" from Microsoft. Office 365 is now popular everywhere in today's IT and Microsoft new Office Suite has expanded its reach to every corner of the world and gained major adoption than ever. Its always good to learn over these new great products and see how to use their new features and utilize them to their full potential in various key areas to enhance our work experience and increase the productivity. I recently came across an excellent Office 365 Video Collection Series where we have video lessons for every product in the Office family explaining their new features and functionality from beginner level to advanced, making it a one shop User learning resource for Office and Office 365. Its time for us to review the Test Lab Guide to learn Step-by-step instructions to create a test lab containing integrated servers running Exchange Server 2013, Lync Server 2013, and SharePoint Server 2013. Microsoft's most awaited innovation for Office 365 "Delve" has started to roll out to customers from today and people who opted for first release experience can enable and preview this in their environment and for all the E1 to E4 customers it will get roll out as standard release in months and we can expect it to get completed by early 2015 and for Office 365 Business Essentials, Business Premium, Small Business, Small Business Premium and Midsize Business customers, first release rollout will begin in January 2015. Read the FAQ Section for more details and watch the quick video which explains how Delve will enhance your Search experience with the power of Office Graph and take your work experience to the next level. Additionally, Review this below Walk-through post from Benoit Hamet MVP showing you how to enable this feature if you have opted for the first release programme. Microsoft Team is hosting Delve YamJam on Wednesday, September 10th from 9:00 – 10:00 a.m. PDT (4:00 – 5:00 p.m. UTC) to discuss on Delve and Office Graph announcements. 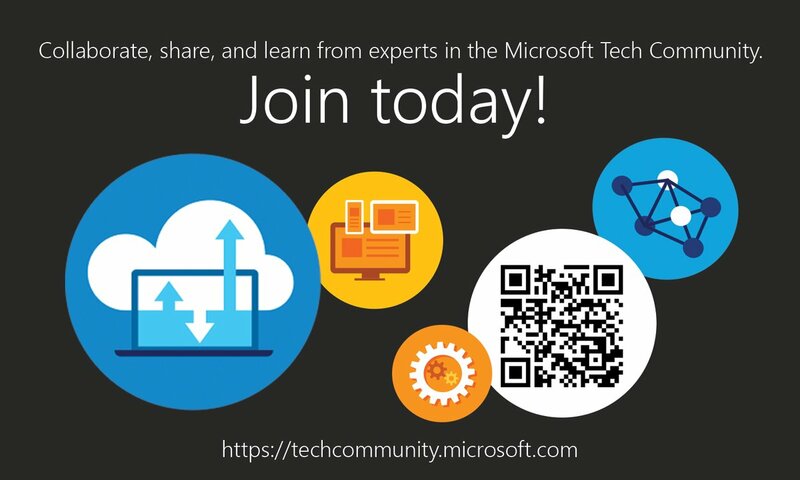 Join the Delve group in Yammer to participate. 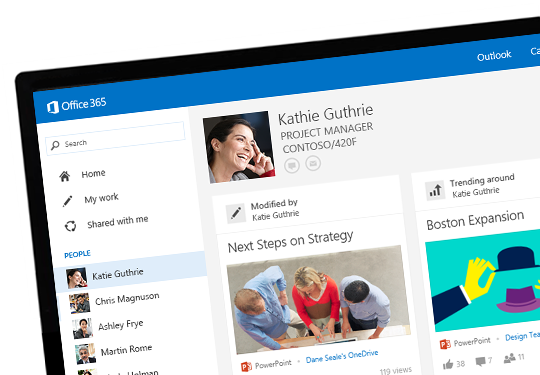 New boards feature is now available for Delve as new innovation for Office 365 in Jan 2015. 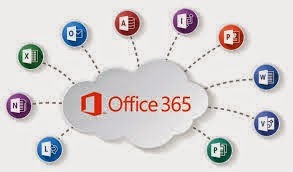 I am writing this post with reference to the latest announcement from Microsoft team for Office 365, which is the hot topic discussed everywhere in the IT Industry, Microsoft has come up with a new offer to assist customers to migrate to Office 365 for free, They named this as Office 365 FastTrack Onboarding Center. Offer available only to New customers purchasing 150 seats or more of a qualified license purchase. Also this is a limited period offer effective from September 1 2014 till March 31, 2015. 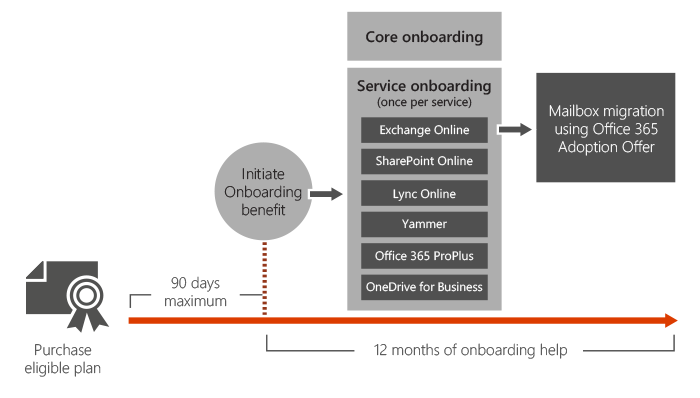 Direct remote assistance provided by an Office 365 onboarding expert who will assist with critical onboarding activities working with customers and partners. Robust suite of automated checks and configuration tools to enable tasks such as current state assessment, identity management, and domain configuration. Onboarding support will be available in the following languages: English, Chinese, French, German, Italian, Japanese, Brazilian, Portuguese, and Spanish. Available worldwide starting September 1, 2014. The term "Federation" refers to the relationship between two different Organizations, where they mutually agree up on some standards and decide to share their resources with each other. This is a common term used in today's Technology and when it comes to Office 365 we have this used at various areas and its good to know what they are and how they work. Federation with Office 365 as said above falls in to the 3 categories as shown below. When you are an On premises Exchange Customer and denote that your federation is not working, this will normally refer to the Free/Busy lookup not working with your partner Organization and the same applies to On premises Lync where this eventually point out to traditional Lync Federation issues with external partners. From my experience very rarely we will come across Identity Federation issues with ADFS or with any other equivalent identity platforms in a On premises environment. So, when we have all of these platforms available at one place bundled together with Office 365 and you use this phrase " Federation issue" its not clear to which one you point to and we need to be specific when we quote this here to make things clear on the other end. When it comes to Office 365 most of the Organizations prefer Single Sign-on along with some granular control over their Identity management and rely on ADFS. To accomplish this we enable Identity Federation with Office 365 and when we do this our Domain becomes federated and the source of Authority for Identity Management becomes your On premises and your ADFS servers becomes the most critical components in the Entire Environment to make things work with the Service. Mostly when you say federation not working with Office 365, it refers to ADFS federation and below Office Blog post provides you more insight on this model. Also refer the Microsoft Knowledge base article that outlines how to repair and update the ADFS federation when you have issues. When we say Federation Trust it points out to the Free/busy Lookups between two different Organizations federated with Microsoft Federation Gateway, this implies to Hybrid deployment where you have this federation Trust established between your On premises Exchange Environment and Exchange Online. When you setup your Hybrid deployment this Federation trust will get created automatically between your Organization and Exchange Online from Exchange 2010 SP2 and later versions, prior to this with SP1 this was configured manually and with the latest changes soon MFG will be discontinued and the new OAuth protocol will be used to setup this federation and Organization relationship. Follow this below Microsoft Knowledge base article to troubleshoot when you have issues with federated sharing. Finally, we have our Lync Federation, Federation process with Lync Online is similar to On premises Lync Environment where we establish federation with External partners, Additionally, we can have Lync Federation established between our On premises Lync Environment and Lync Online in a Hybrid setup. 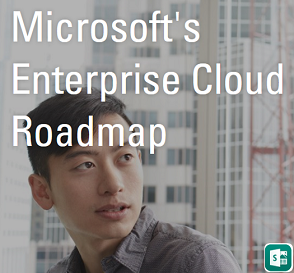 Review the below TechNet article and my earlier blog post to know more. 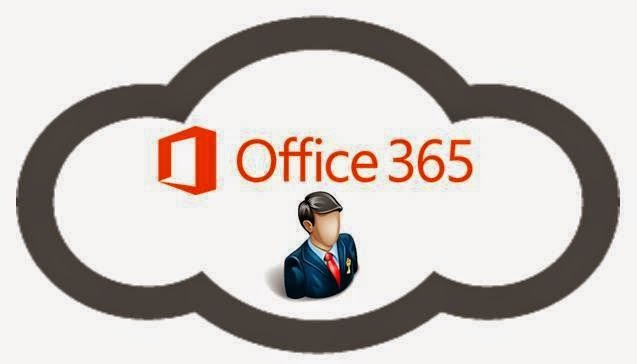 Office 365 administration can be delegated in terms of assigning users to the appropriate Admin roles available with the service for managing the environment effectively. Each Admin role has different set of access and we can utilize the below TechNet article to know more on each role along with its extension in each Online Service.